The U.S. Congress intensified its activism on behalf of Ireland once America entered the Great War in April 1917. “Members seized the moment to revive the issue of Irish independence, which had failed to gain traction in the House a year earlier when Missouri Rep. Leonidas C. Dyer (R) insisted that Congress support the Easter Rising,” according to the U.S. House of Representatives’ History, Art & Archives blog. It took until a month after the war ended, however, before the Committee on Foreign Affairs convened a hearing on “The Irish Question.” Congress was in a “lame duck” session, between the Nov. 5 midterm election and new members taking their seats in early March. 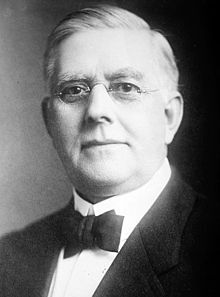 Republicans won control of the House and Senate from the Democrats, the party of President Woodrow Wilson. Virginia Rep. Henry D. Flood (D), the committee chairman, opened the hearing at 10 a.m. He set a hour-hour limit on the testimony. A letter from former Illinois Gov. 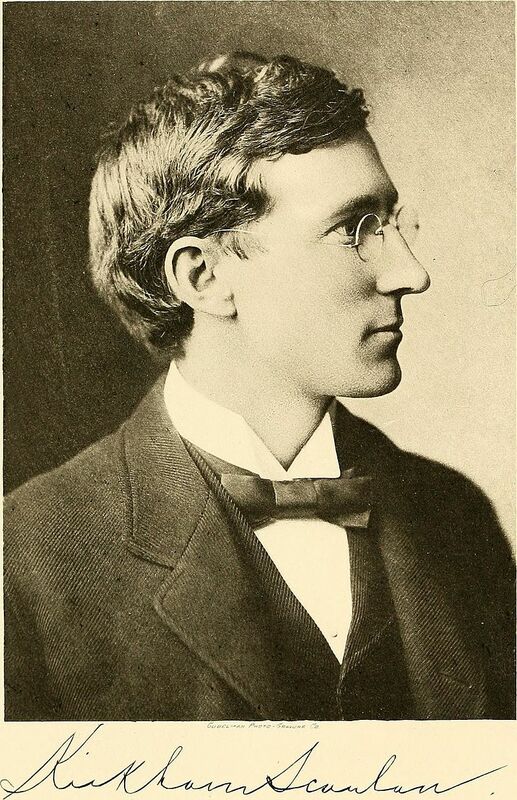 Edward F. Dunne, who in a few months time would travel to the Paris peace talk as one of three representatives of the American Commission on Irish Independence. The Madison Square Garden address of Cardinal William Henry O’Connell of Boston, delivered two nights earlier to some 25,000 supporters of Irish freedom. “Ireland’s Plea for Freedom,” by William J.M.A. Maloney, M.D., a former British Army captain. The Easter 1916 Proclamation of the Irish Republic. The Sinn Féin platform of October 1917. The hearing came two days before the party’s massive wins in the first British elections since 1914. The Foreign Affairs Committee cleared a bill of support for Ireland to the floor, where it was debated March 4, 1919, the last day of the 65th Congress. Texas Rep. Thomas Connally (D), echoing Fox, reminded his colleagues that Great Britain was an ally in the war, and the principle of self-determination championed by Wilson only applied to countries “under the dominion of our enemies.” Wilson adopted a similar stance in Paris. Nevertheless, the support of Irish immigrants, Irish Americans, and others is worth remembering 100 years later. Click the cover image below to see the full hearing transcript. The Washington Post, Dec. 12, 1918, p. 1. “Rising Up in the House” blog. This entry was posted in History, Irish America, Irish War of Independence, Politics, Religion and tagged Cardinal William Henry O'Connell, Committee on Foreign Affairs, Edward F. Dunne, Kickham Scanlan, Sinn Féin, Thomas Gallagher, U.S. Congress, William J.M.A. Maloney on December 12, 2018 by admin.